HypnoBirthing® Classes with Marta Guzik. 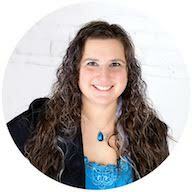 Marta is a HypnoBirthing Childbirth Educator and Postpartum Doula. As a HypnoBirthing instructor, Marta helps couples to approach their birth with confidence, knowledge and most importantly, no fear. You will learn Relaxation Techniques so that you can give your baby a welcome that is calm, gentle, and safe. Contact us for more information or to register!